In part two of our FLSA Overtime Rule series, we look at specific steps you can take to help employees through the transition and keep your business running smoothly. Please read part one for an overview of the changes made in the modified FLSA overtime rule. December 1, 2016, is approaching fast. And that’s the day employers need to be in compliance with the new overtime rules from the Fair Labor Standards Act (FLSA). The FLSA has increased the salary level for employees who can be classified as exempt or “salaried.” Specifically, the minimum salary more than doubled from $455/week ($23,660 annually) to $913/week ($47,476 annually). That means that – with very limited exceptions – your employees making less than $47,476 a year can’t be “salaried” and will be eligible for overtime pay. In addition to the change in status from exempt to non-exempt, employers should consider the emotional impact these FLSA changes will have on staff. 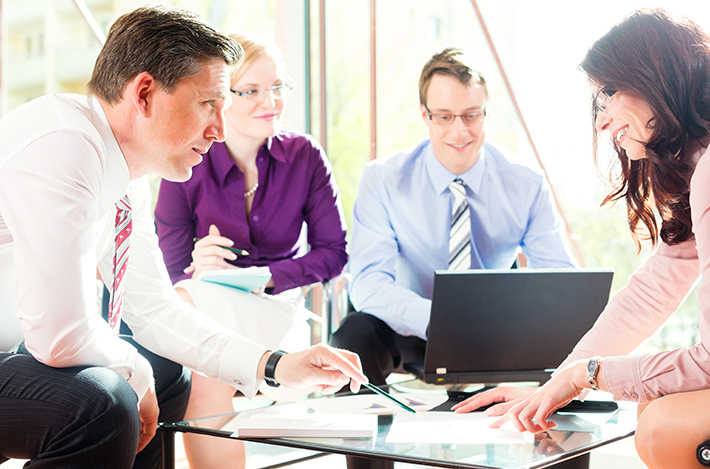 Going from salary to hourly will be a major adjustment for many employees. Anticipating employee response to these changes is critical if you want to avoid unnecessary disruptions that may affect efficiency and profitability. Understanding the potential impacts on morale is a first step, but putting procedures in place to assure a smooth transition is equally important. Chances are good you will have more employees “punching the clock” under the new rules. With that said, it may be more important than ever to consider upgrading your timekeeping system to avoid potential conflict. What if someone has never had to use a timekeeping system before? Everyone was just salaried, so they never had to think about it. Kevin’s entire team – including Kevin – is currently on salary. Under the new rules, everyone except Kevin will transition to hourly status. Because the company has a time clock on the floor, Kevin’s entire team will have to punch in and out daily, beginning in December. Many employees may be sensitive to being easily identified by their peers as someone making less than $47,476. Also, this will identify Kevin as above the threshold, which may create unnecessary and uncomfortable hallway conversations among employees inside and outside of the team. Alice, a star employee for 10 years, will remain an hourly employee. After the adjustment goes into effect, she notices several new and younger hires are not clocking in daily. Immediately, she realizes these employees are earning more than $47,476 annually and is quickly demoralized. She doesn’t talk to her supervisor about her concerns, but she does talk with anyone who will listen about her dissatisfaction. All-star Alice transforms into agitated Alice. Under both scenarios, the issue of labeling employees as over or under the $47,476 threshold is avoided easily by using discreet, online-based time clock software. Employees can clock in and out from their workstations, eliminating the obvious punching in and out. 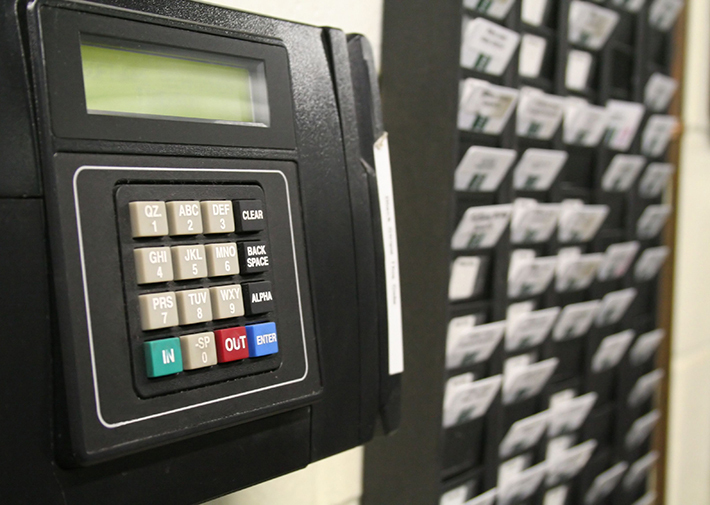 First, realize that installing a time terminal or card-punch system in your office will be costly and cumbersome. Do you have the necessary space? Do you want to use up space for that? Also, employees are comfortable going straight to their work stations when they get to work, not to a time terminal. Anticipate that it’s going to be difficult for your employees to get into the routine, and there will definitely be some forgotten punches as everyone gets adjusted. There’s bound to be some further growing pains when adding in a physical process on top of an uncomfortable reclassification process. With an online time clock system, your employees are already at their computers so punching in is easier to remember. If your employees don’t work at a computer regularly, they can punch in from their own smart phones, so it’s still discreet and private. This also applies to employees who may be out in the field or working remotely. Also with an online system, you can set rules that will automatically clock out an employee if they’ve forgotten to do so after their scheduled shift. That’ll save your payroll administrator time when reviewing records and fixing missed punches. Finally, when it comes time to calculate payroll and add up the hours worked, software can do this for you automatically. You should be able to easily review and export a payroll report with all the time worked and wages already calculated. From that point, just continue with your regular payroll process. The downside? You will need to purchase software. However, the time it saves you – as well as the privacy and respect it affords your employees – is well worth the cost. However, a decline in employee productivity, or a rise in employee turnover, is far more costly to your business than the software itself. With TrackSmart TimeClock, employees can clock in and out discreetly and efficiently. If implemented before December, TimeClock will help you alleviate the potential for “who’s who” concerns among employees. In addition, it can help with your payroll process and will create a more efficient system for your entire business.